KUALA LUMPUR, 4 Oct 2012 – Everything that is consumed or used from food, pharmaceuticals, chemicals, cosmetics and even herbal foods and medicine has the potential to turn toxic and cause harm. Realising this The National University of Malaysia (UKM) in collaboration with The National Professors Council, Universiti Teknologi Malaysia (UTM), University Malaya (UM), Kyoto University and Japan Society for the promotion of Science convened a National Congress here today to explore the pressing need for toxicological research in the country. 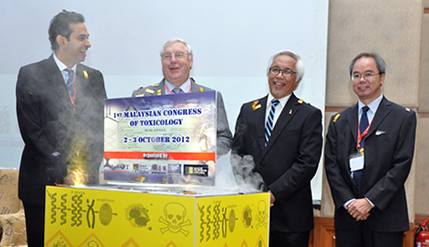 Held at the Royal Chulan Hotel here, it brought international experts in toxicology to discuss and present their findings at the conference on the theme Toxicology: From Mechanistic to Regulation. It aims at anticipating problems and to find solutions other than by regulations to make future products safe for humans. Chairman of The National Council of Professors, Professor Emeritus, Dato’ Dr Zakri Abdul Hamid, said the scientific landscape hold vast promises with emerging new technologies. Officiating the conference, he said the new technologies may also impact negatively on human health, for example the toxicity of nano materials. He said research aimed at improving understanding of the link between chemicals and negative health impacts was imperative to prioritise action and assess their effectiveness. 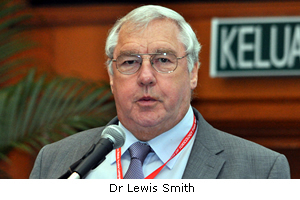 Dr Lewis Smith from the University of Leicester said depending on the dosage, something that could act as a remedy can turn lethal, thus it was important that the level of toxicity be assessed. Commenting on regulations as a means to meet the problem, he said a country must not be overzealous when introducing regulations because it can have an adverse impact on new discoveries. 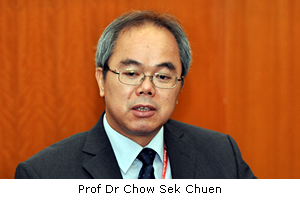 President of the Toxicology Society of Malaysia, Prof Dr Chow Sek Chuen urged toxicity study be carried out on oleo chemicals which is derived from palm oil. He said that oleo chemical is used widely today and there is a need for toxicological research on its impact. The toxicological studies will serve to validate the benefits that oleo chemical possess. Question was also raised about the booming industry of supplements and herbal products, which bypass tight scrutiny of the law because they are marketed as food supplements. While these may just be vitamins or minerals which seem beneficial research on their long term effect needed to be carried out, Dr Chow said . Overall the field of toxicity offers huge potential for research. Toxicology findings are powerful influence on regulations, he said. Chairman of the Organising Committee and Dean of the Faculty of Health and Sciences UKM, Prof Dr Salman H Inayat Hussain, international speakers in the field of toxicology and the various stakeholders attended the conference.